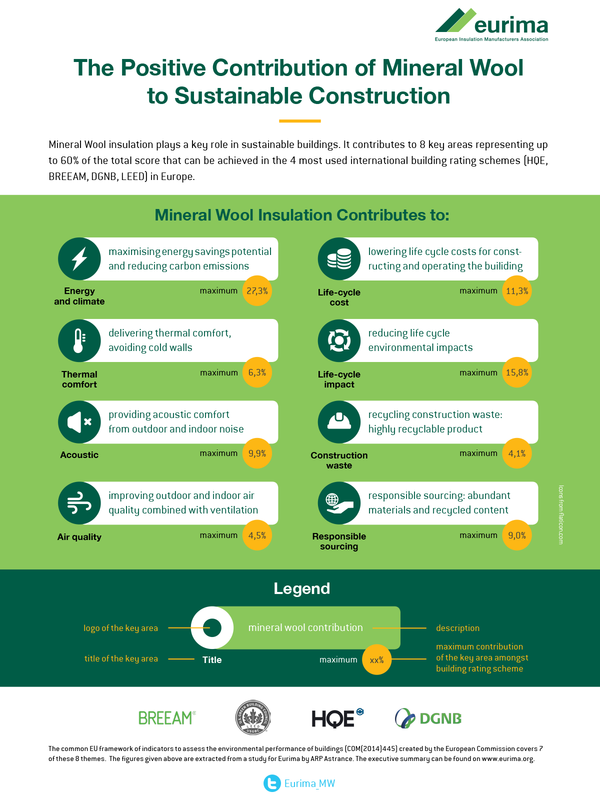 The positive contribution of mineral wool insulation to the different pillars of sustainability is shown in the infographic. These contributions are also an integral part of the EU voluntary reporting framework “Level(s)” to improve the sustainability of buildings. It provides a common EU approach to the assessment of the environmental performance of residential and office buildings.